The National Rifle Association of India and JSW Group on Thursday announced the signing of a "high performance partnership" to identify, train and develop shooting talent for the 2020 and 2024 Olympics. As part of the agreement, the USD 13 billion Indian conglomerate will fund NRAI's high performance resources and expert requirements, to develop Indian shooters for the two Games. JSW Group will also provide NRAI access to its own high performance resources and experts for training. The partnership opens doors for Indian shooters to be trained at the world-class Inspire Institute of Sport (IIS), a premier training facility established by JSW in Karnataka. 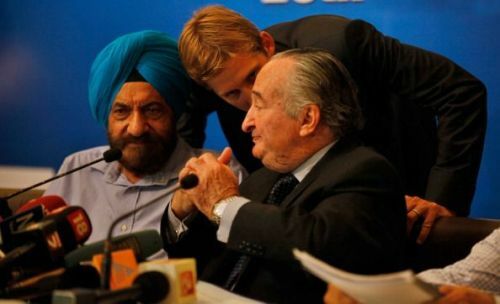 The agreement was signed by Raninder Singh, president for NRAI and Parth Jindal, Director for JSW Sports. Commenting on NRAI's partnership with JSW, Raninder said, "India has been a powerhouse in the world of sport shooting be it in terms of quality of talent or the tally of medals in various world level championships. "Our association with JSW reiterates our commitment to provide Indian shooters with greater access to world class resources, experts and training facilities." Jindal, added, "At JSW Group, we endeavour to achieve systemic growth and sustainable results. We realize that the most effective way to achieve this in developing sports talent is to enable and support systems. "The NRAI has been one of the most successful federations over the past few years. They have managed to introspect and make changes to the status quo in order to improve athlete performances. "It is with this goal in mind that we are partnering with NRAI as their high performance partner with an aim to support NRAI and all their staff - including coaches, physios, medical experts etc. This partnership will start from December 1st 2018 and go until 2024 Olympics." Over the last few years, shooting has become increasingly popular in India with more than 6,000 athletes participating in the recently held National Championships. The performances of the Indian shooting team improved dramatically in the past decade, transforming the country into one of the dominant forces in world shooting.